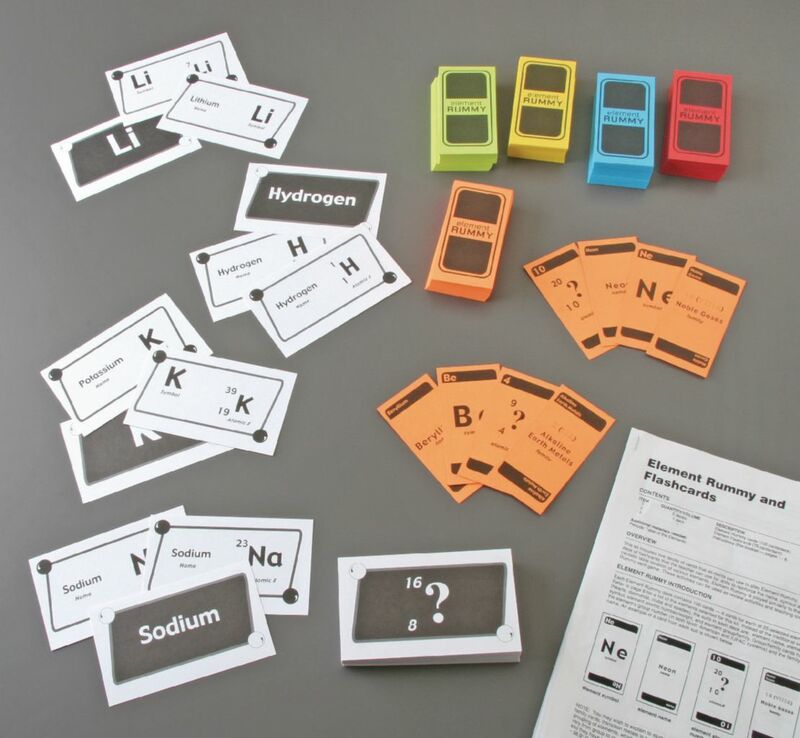 In this game, students must assemble sets of elements. Each set has atomic number, atomic mass, family, symbol, and name cards. The first to get rid of all their cards is the winner! Developed by Harry Taylor. Ordering information: Includes 5 Decks of 100 playing cards, 57 Flash cards. Recommended but not included: Periodic table.